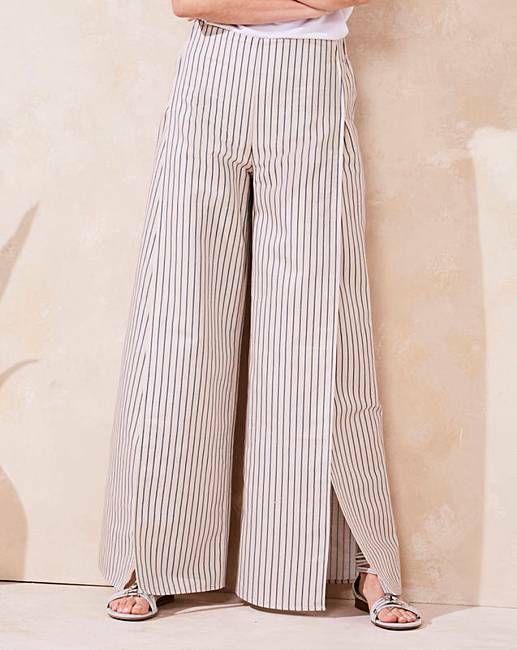 Wrap Linen Stripe Wide Leg Trouser is rated 3.9 out of 5 by 7. 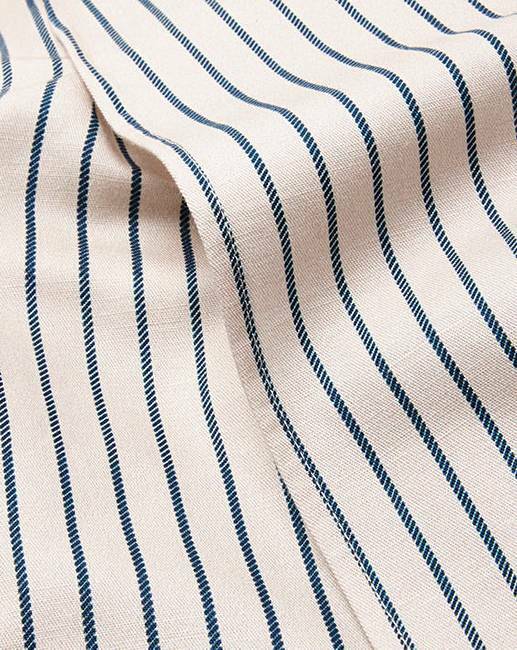 Linen-mix fabric with back elasticated waist and on-trend front split detail. 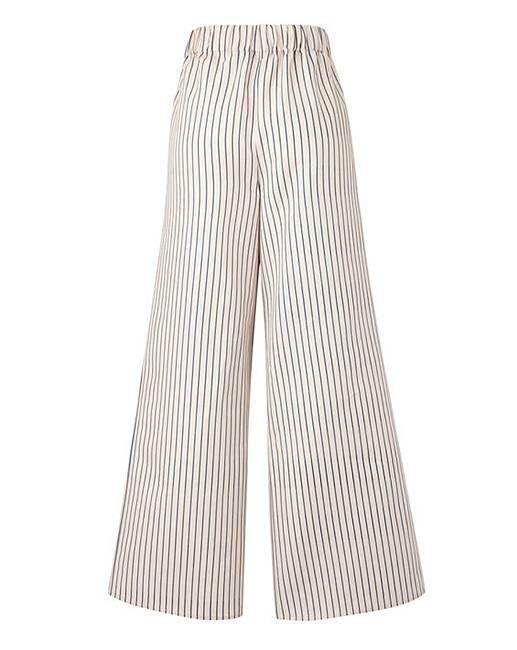 In a flattering stripe design. Rated 4 out of 5 by JanieB from Good fit, and hang nicely. 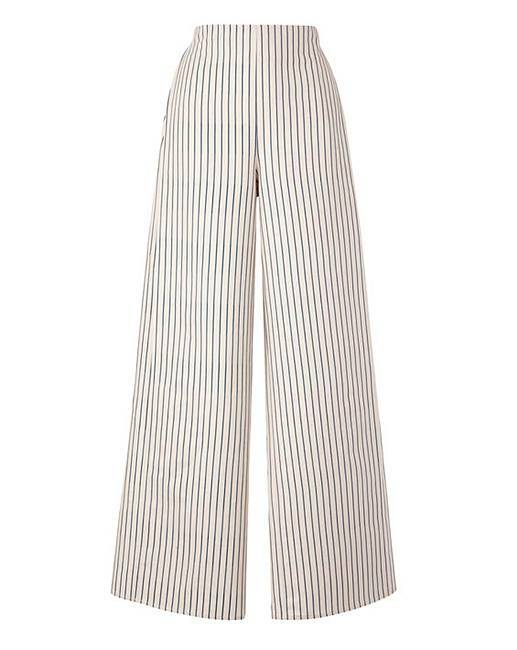 I haven’t given it five stars because the trousers fall open completely when you sit down and are quite revealing. I think there should have been a picture of this to warn potential purchasers in case they aren’t comfortable with displaying virtually everything! Rated 5 out of 5 by Christyolivia from Different! Querky and comfortable. Ideal for a cruise. Rather long but worth spending money to have them taken up. Gutted they've come down in price now but still worth what I paid.